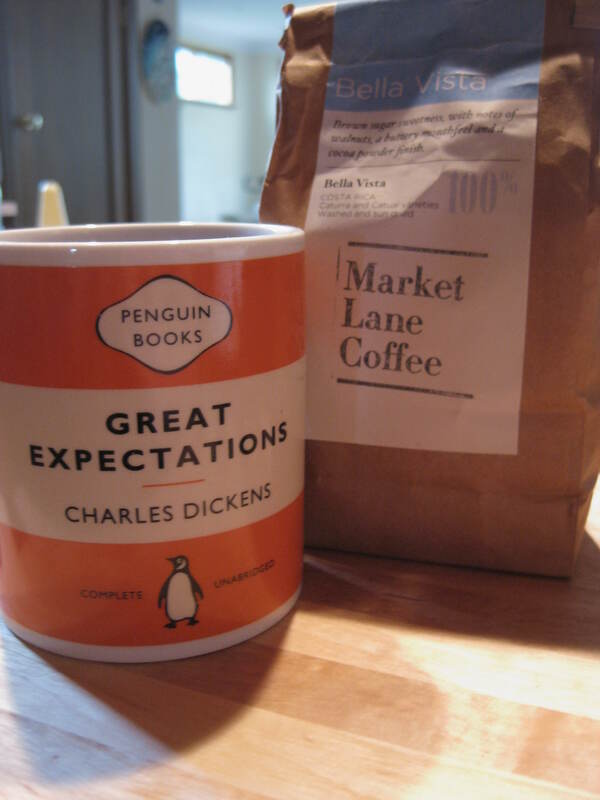 I’ve been drinking lots of french pressed coffee made with delicious coffee beans from Market Lane at the Prahran Market. I’ve been trying the Bella Vista beans which are sourced from Costa Rica and have a really nice sweet nutty taste. Normally I would choose tea over coffee but this stuff is really good! Reading huge stacks of cookbooks and planning and cooking meals for my loved ones. I find chopping big piles of vegetables and stirring bowls of ingredients so incredibly soothing. 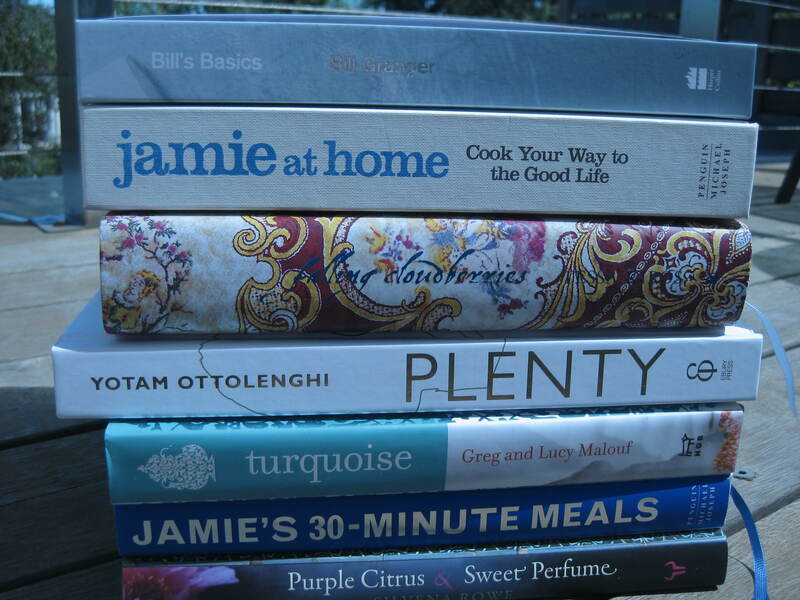 The above stack of books is what I flicked through last weekend before making a big table of food with my mum. My contributions? Minced lamb spiced with garam marsala and topped with a zingy carrot salad a la Jamie Oliver and a cucumber and poppy seed salad a la Ottolenghi. Delicious, crunchy and fresh meals – perfect for spring! After a few days of warm spring weather in Melbourne, a storm hit the city yesterday afternoon, bringing lots of cooling rain. It was perfect cake baking weather in my opinion. I couldn’t decide what kind of cake I wanted to make so I flicked through a stack of food magazines. It wasn’t too long before the combination of ginger and golden syrup caught my eye and when I remembered I had a jar of stem ginger in syrup waiting to be opened I decided it was the winner. I found the sticky double ginger cake recipe in Jamie Oliver’s 2009-2010 magazine yearbook (a bargain at $15 for almost 400 recipes), but further searching showed me it was also available online. This cake is really easy to bake, smells amazing and tastes great. I bet it would have looked really good too, but I was too impatient and decided to take it out of the tin before it had even slightly cooled, so the cake formed a few huge cracks and fell apart. My cake didn’t actually sink though, which is what most people on the internet reported as their problem with this recipe. The cake collapse wasn’t a total disaster, it just meant I spooned my cake into some bowls and ate it like it was a pudding while it was still warm. As a pudding it would have tasted great with some vanilla ice cream, but I didn’t have any at hand – I wasn’t exactly expecting to eat it pudding style. I thought about making a quick syrup to drizzle over it but I took a quick reality check at the amount of sugar already in the cake and thought it was best to avoid doing that! For all the ingredient quantities and cooking directions, check out the recipe on Jamie’s site but I promise it is seriously easy. You basically throw all the ingredients in either a stand mixer or food processor and bring it all together, and then you pour it into a pan, sprinkle a little sugar on the top and pop it in the oven. The most difficult step is probably just bashing the stem ginger into a puree. Actually, come to think of it, the most difficult part is avoiding the temptation to take the cake out of the tin too early!